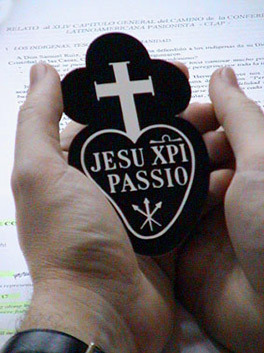 The Congregation of the Passion of Jesus Christ or the “Passionists” is a Catholic Religious Order of Pontifical Right. It is composed of priests, brothers, nuns, sisters and laity who proclaim God’s love for the world revealed through the Passion of Jesus Christ. Founded in 1720, today we continue to carry a message of compassion and hope to 61 countries throughout the world. We seek the unity of our lives and our apostolate in the Passion of Jesus. His Passion reveals the power of God which penetrates the world, destroying the power of evil and building up the Kingdom of God. Since we have been called to unite ourselves to the life and mission of Him who “emptied Himself taking the form of a servant” ( Phil 2:7 ), we contemplate Christ through persevering prayer. By giving His life for us He reveals God’s love for all people, and shows the path they must follow as they make their way towards the Father. Faithfulness to this contemplation enables us to show forth His love more fully, and to help others offer their lives in Christ to the Father. We express our participation in the Passion by a special vow, which is at once personal, communitarian, and apostolic. Through this vow we bind ourselves to keep alive the memory of the Passion of Christ. By word and deed we strive to foster awareness of its meaning and value for each person and for the life of the world. By this vow our Congregation takes her place in the Church so as to dedicate herself fully to its mission. In the light of this, we seek to incorporate this vow into our daily lives by living the evangelical counsels. Then, as we relive the memory of the Passion of Christ today, our communities become a leaven of salvation in the Church and in the world. Saint Paul of the Cross gathered companions to live together and to proclaim the Gospel of Christ to all. The first name he gave his community was “The Poor of Jesus”. This was to indicate that their lives were to be based on evangelical poverty, which he held to be so necessary if they, were to observe the other evangelical counsels, to persevere in prayer, and to preach the Word of the Cross in season and out of season. Moreover, he wanted them to live their lives like apostles. They were to foster and develop deep spirit of prayer, penance, and solitude and witness to His love. Keenly aware of the evils that afflicted the people of his time, he never tired of insisting that the most effective remedy is the Passion of Jesus, “the greatest and most overwhelming work of God’s love. Recognizing in Saint Paul of the Cross the action of the Holy Spirit, the Church with her supreme authority approved our Congregation and its Rule, and entrusted us with a mission: to preach the Gospel of the Passion by our life and apostolate.This mission still retains all its force and authenticity.We come together therefore in apostolic communites so that we can fulfill this mission of ours by working for the coming of God’s Kingdom. Confident that God will help us to overcome our human limitations, we are determined to remain faithful to the patrimony and evangelical spirit of our Founder. We are aware that the Passion of Christ continues in this world until He comes in glory; therefore, we share in the joys and sorrows of our contemporaries as we journey through life toward our Father. We wish to share in the distress of all, especially those who are poor and neglected; we seek to offer them comfort and to relieve the burden of their sorrow. The power of the Cross, which is the wisdom of God, gives us strength to discern and remove the causes of human suffering. 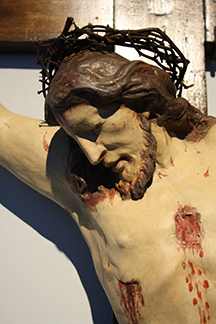 For this reason, our mission aims at evangelizing others by means of the Word of the Cross. In this way, all may come to know Christ and the power of His resurrection, may share in His sufferings and, becoming like Him in His death, may be united with Him in glory ( Phil 3:10-11). Each of us takes part in this apostolate according, to his gifts, resources, and ministries. 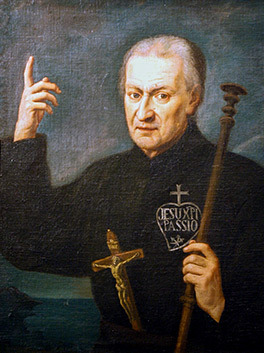 We accept the urgent demands made on each of us by the personal call of the Father to follow Jesus Crucified, namely: a personal and continual vigilance to make the Gospel the supreme rule and criterion of our life;a steadfast will to live and work joyfully as a community of brothers, observing these Constitutions in the spirit of Saint Paul of the Cross;a firm resolve to foster in ourselves the spirit of prayer, and to teach others to pray;a keen attention to the needs of others, as we strive to lead them to the fullness of their Christian calling through the message of the Cross.